During a speech in 1942, Adolf Hitler said, “The most foolish mistake we could possibly make would be to allow the subject races to posses arms.” In other words, Jews and others whom Hitler wanted to wipe from the earth first had to be separated from their guns. This was not new position for Hitler. Rather, it was something he had put into practice from the moment he came into office. 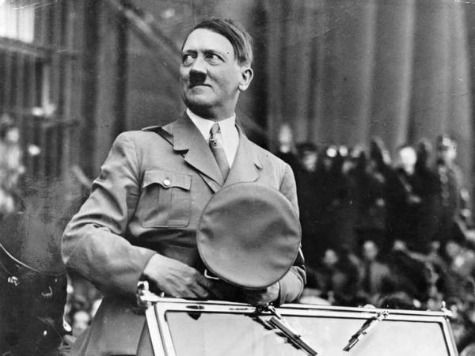 When Adolf Hitler came to power in 1933, he seized gun registration information that had been compiled by Germany’s previous government under the premise that the information would not fall into the wrong hands or be used for an all-out confiscation scheme. But as gun scholar Stephen P. Halbrook makes clear in his new book, Gun Control in the Third Reich: Disarming the Jews and “Enemies of the State,” Hitler’s hands were the wrong hands. And Hitler and the Nazi movement used all the information they could find–as well as the threat of brute force and death–to force Jews and others to hand over their firearms. Gun Control in the Third Reich covers gun control under Hitler but, perhaps more importantly, it covers the methodology of that gun control in great detail. In so doing, Halbrook helps the reader sees how registration led to confiscation, and how confiscation turned citizens into subjects and eventually into victims–victims of their own government and/or of an invading force. Halbrook also shows how propaganda was used to further gun control and how terms like “assault rifle” did not exist until Hitler created them. 1968 was only 23 years after World War II ended and there was some back and forth in Congress on what the Nazis had done. The Library of Congress did a study to see if it could turn up information on any Nazi registration scheme but it could not–the dirty little secret is that it was not intended to. Gun control was going to happen. Halbrook talked about the implementation of the instant background check under Bill Clinton and how Janet Reno wanted to keep background check records for six months. It was out of fear that those records could be used for devious ends–perhaps a registration and confiscation scheme–that Halbrook litigated a case against Reno’s plan and then Congress intervened with a law that required the destruction of said records after 24 hours. According to Halbrook, this is the fight that has to be fought–the fight to keep such information from being gathered in the first place. Follow AWR Hawkins on Twitter @AWRHawkin.